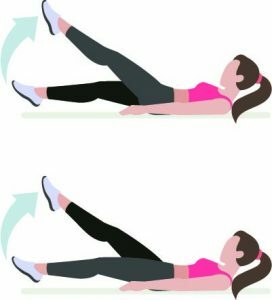 This crazy effective Abs of Steel workout will definitely shape up your abs, obliques and lower back! Get ready to feel the burn. 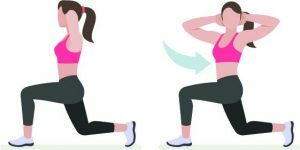 To mix in some glute exercises with your abs, as well as upping the difficulty, try some glute kickbacks. 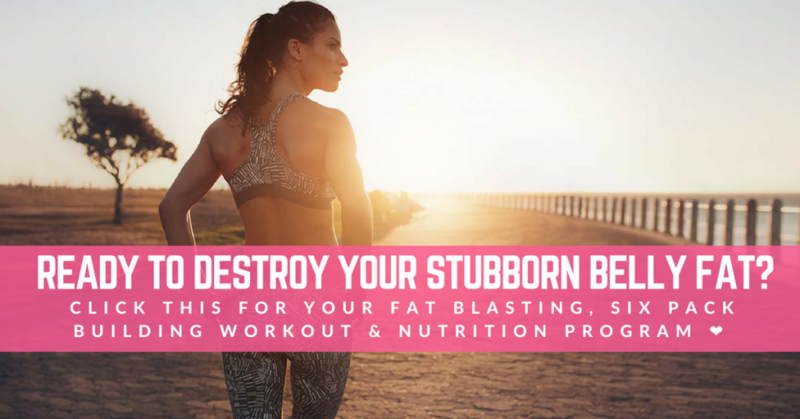 They’re a great part of this abs of steel workout! These lat raises are a great way to work the center of your back more. This variation of the glute bridge helps remove some stability whilst working your legs in our Abs of Steel workout. Here is another variation that adds yet more instability by sitting on top of a balance ball. Make sure you try this exercise slowly as it takes getting use to. Lie on a balance ball. Have the curve of your lower back curve with the balance ball. Have your feet firmly placed on the floor, bent at the knee. Lower your upper torso backwards. It should be hanging off the ball. Keep your arms at the side of your head, or resting behind your head. Don’t pull on your head or neck. 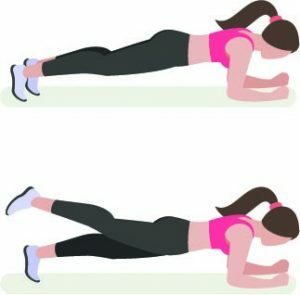 Keep your hips still and tense your abs, curling yourself upwards. Lower yourself backwards to your starting position. This is one rep.